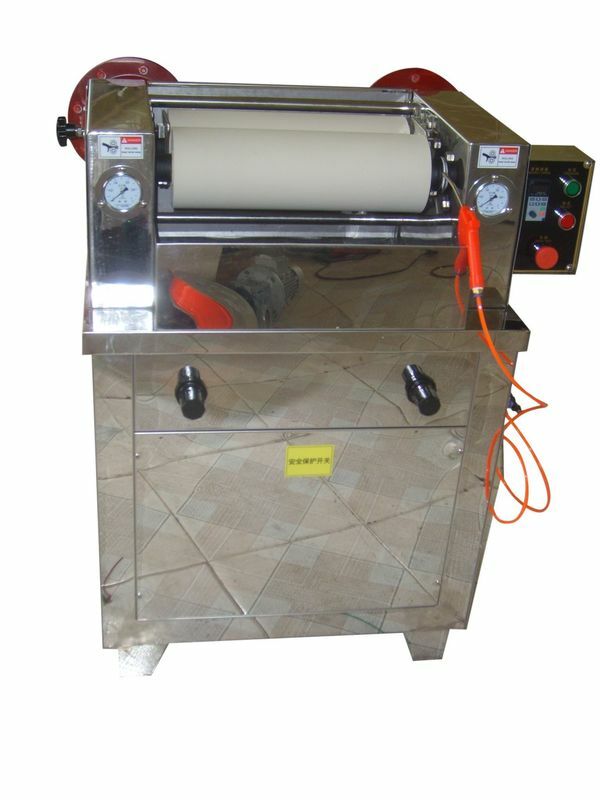 a floor type padding mangle for dyeing, finishing and Impregnating. The unique design combines two positions in one machine, makes the machine can be set in both vertical position and horizontal position, it is easy to operate and set, but also saves a great cost to buy two machines. This Lab padder is made of quality NBR,good flexibility ensures long-life, main components are imported.The lab padder equipped with emergency button and a knee pedal to stop the machine operation.